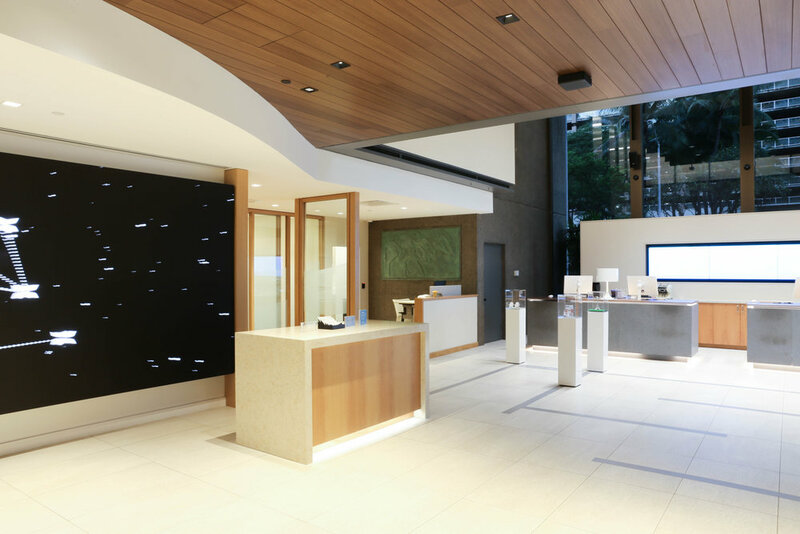 Part of the new design included an exclusive stone teller bar with integrated lighting on the customer side, and a comprehensive staff-side where everything from pens to computer had a specific location and was replicated for each teller position. Working from the design drawings from and in partnership with Design Made, Boyce evolved the design and engineered the final solution. We developed many prototypes of the teller bar alone as we worked collaboratively with the client to define the best staff-side solution. The result was a hugely successful. 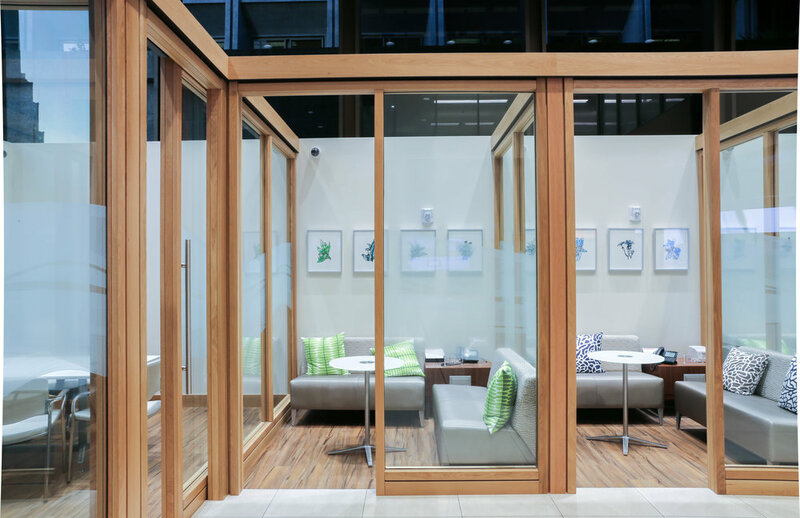 The final solution included a custom version of our BoyceWal, specifically developed for the Bank of Hawaii to achieve the intended look of the wood and custom in-fill glazing. In addition to the millwork innovations and successes, the Boyce logistics team developed and engineered a seamless delivery logistics for transporting all the branch architecture from our production facility in Damascus, PA to the islands of Oahu and Maui. We have been able to meet the very aggressive production schedules set by Bank of Hawaii and reduce costs. Project Description: Multiple branch designed for the next generation banking experience. 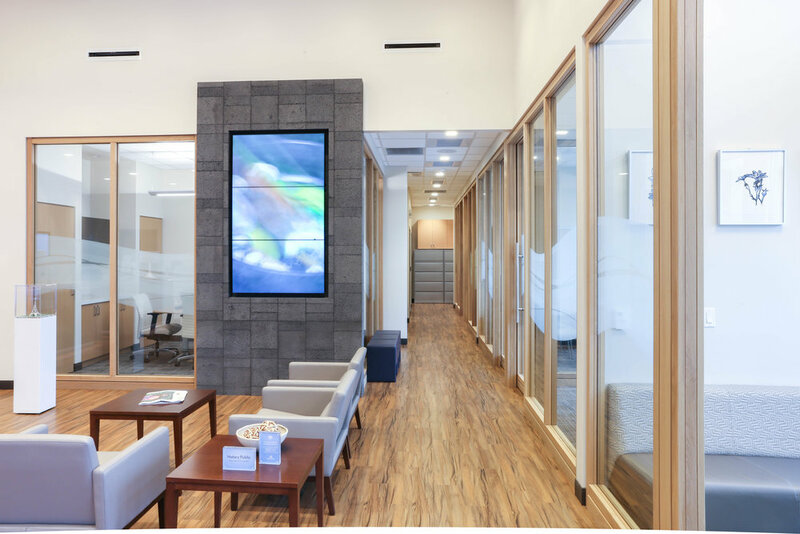 Case Study: The Bank of Hawaii Corporation is a regional commercial bank headquartered in Honolulu, Hawaii. It is Hawaii's second oldest bank and its largest locally owned bank. 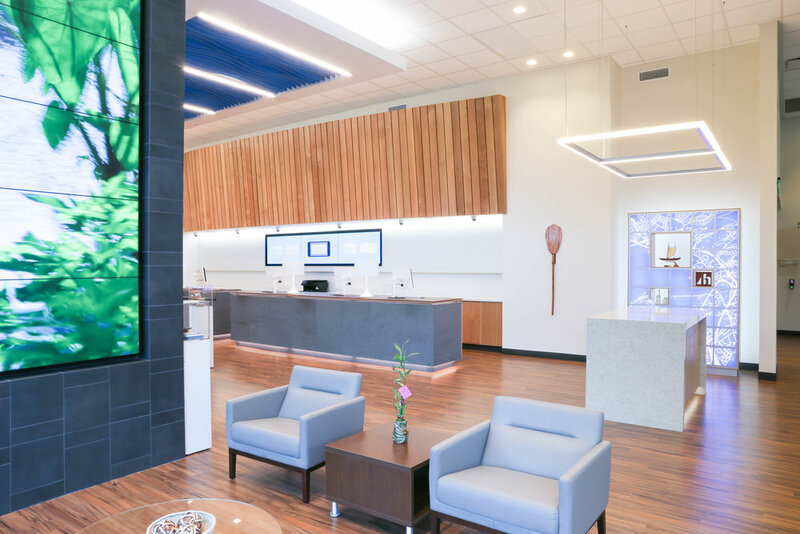 Many banks are seeking a new customer experience and branch design that would be a next-generation retail program for the organization to implement and evolve their new customer experience programs and technology investments. 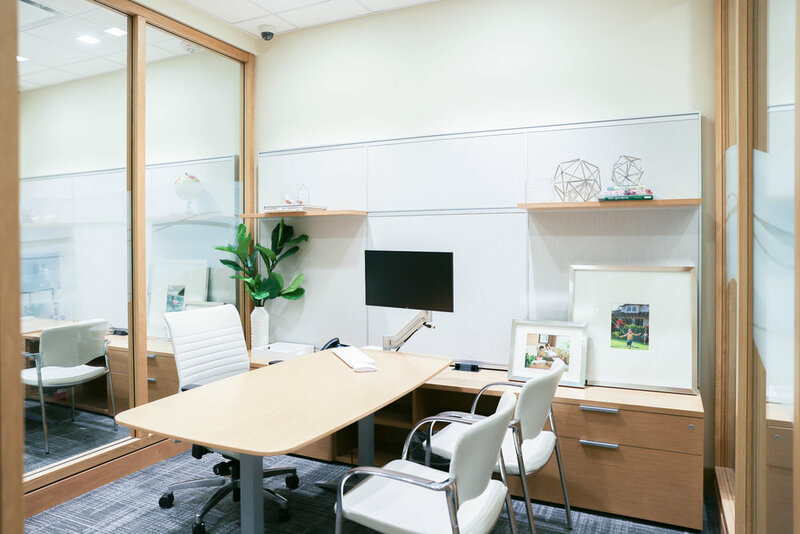 BOH engaged the design team of Design Made, working in partnership with NCR to develop a new financial center that was more hospitality lobby than retail bank. The design team developed a new innovative store design that included a material palette of warm woods, glass, and stone. Older PostStage Set for "It's Complicated"